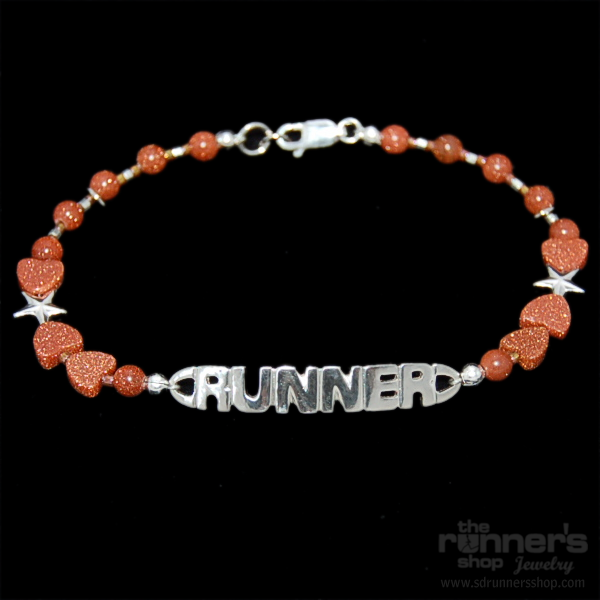 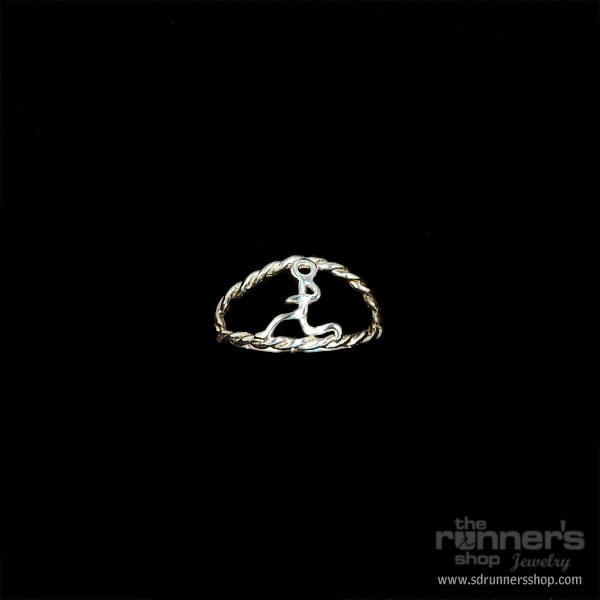 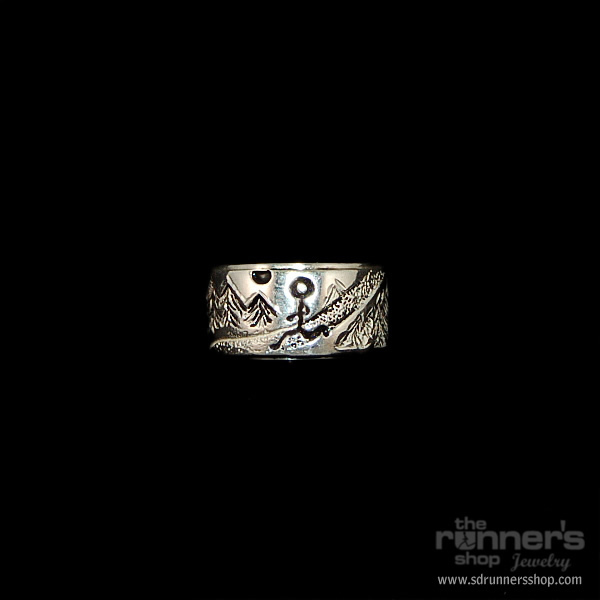 Sterling silver wide band ring with an etching of a runner on a trail in the black hills. 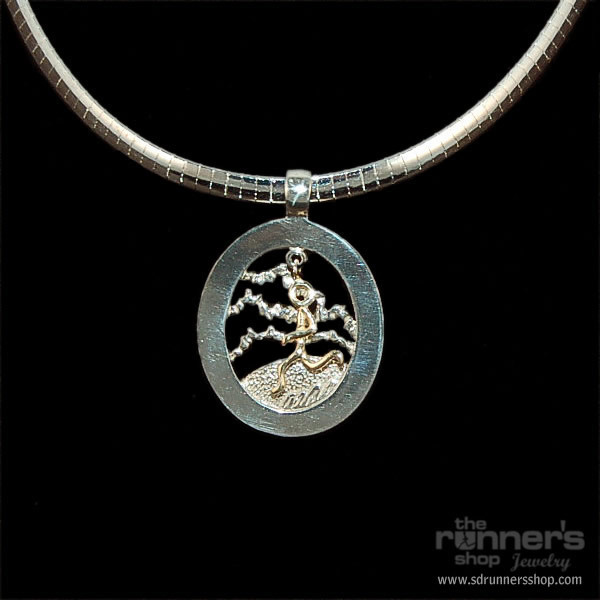 The clean clear surroundings of a wonderful run. 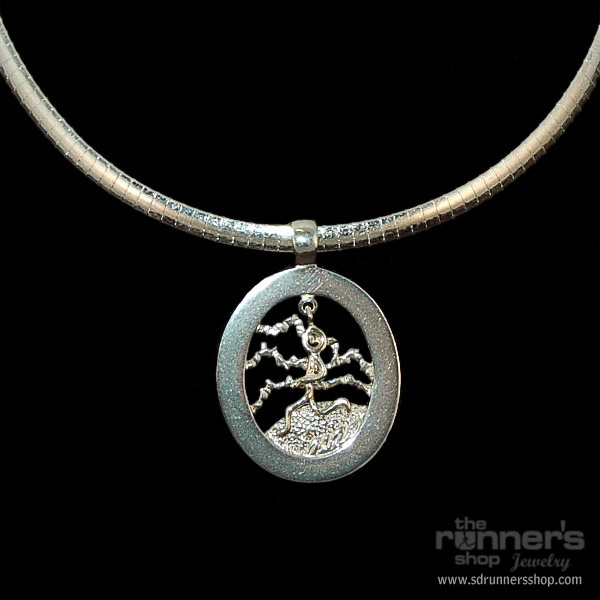 Spruce trees, pine trees, and a game trail.